Agrico Canada L.P. is a Canadian wholesale distributor of crop input products: primarily dry and liquid fertilizers. We source premium products domestically and worldwide to meet the ever-growing needs of our agri-retail customers. We believe that respect is the foundation for relationships and how we conduct business. At Agrico, we recognize and appreciate people’s differences and work hard to build an environment that facilitates strong, meaningful relationships. We believe it is important to do what you say you’ll do, when you say you’ll do it, how you say you’ll do it. We believe that our customers deserve our very best at all times. We will honour our commitments and be advocates for our customers’ success. We believe that the safety of our staff, customers, and environment are of utmost importance. We will seek out and implement best practices and find ways to eliminate any risk to our staff, customers, and the environment. We believe that environmental stewardship is a core responsibility. We will show respect to, and protect, our people and the environment from generation to generation. We believe that innovation inspires progress. We commit to pursuing and adapting to advancements for the benefit of our staff, customers, and the environment. We believe our people will have an attitude and determination to act professional in all that we do. 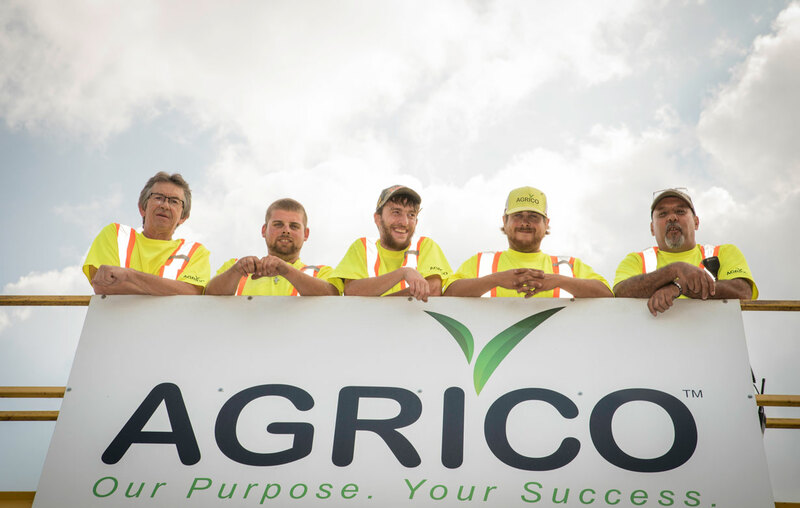 Agrico has a main office in Mississauga, Ontario, and a branch office on the outskirts of Winnipeg in Oak Bluff, Manitoba. Our offices provide support for a network of fertilizer storage terminals, strategically located across Canada from Québec to Saskatchewan, and south of the border in Minnesota. Joint venture partnerships represent another key component of Agrico’s business. Agrico has an active and proud association with numerous Agri-Retail businesses across Canada. Agrico is a division of La Coop fédérée.